I don’t know about you but it has been pretty ugly out here in Northern California. I spend my weekend cooking and baking and for the past 3 weekends it has been rainy or cloudy, meaning bad photography. I miss the sunshine! So you will have to forgive the photos in this post, bad lighting. Anyway, today I made a healthy smoothie that is packed with vitamin C that will help fend off the seasonal colds we all tend to get. 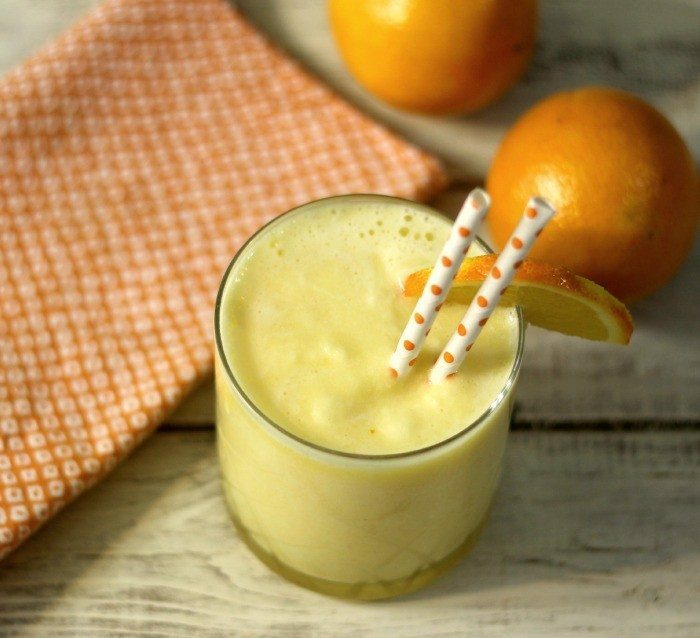 This smoothie is refreshing, naturally sweet and simply makes you smile when you drink it. 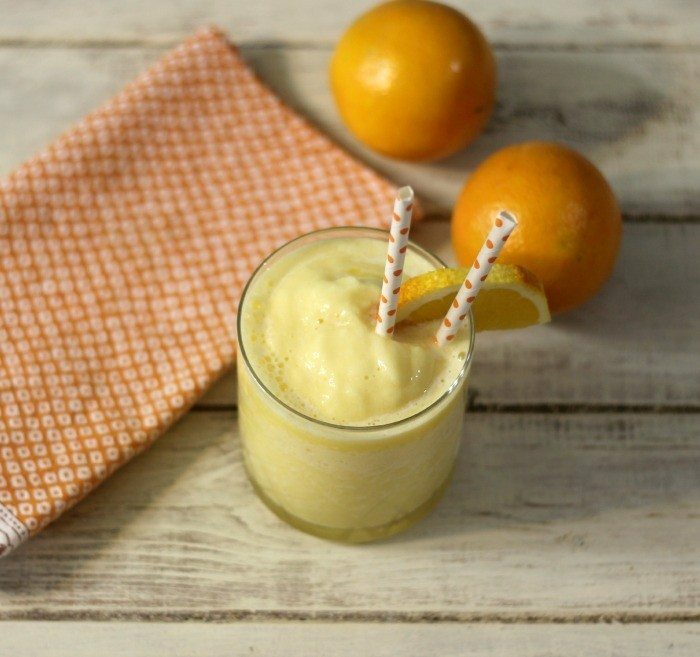 I used Naval Oranges to make the smoothie, since they are so sweet and in season right now. I love a good orange! It’s funny is that I don’t eat oranges too much, but I have been craving them lately. When I was in Pennsylvania, I had a glass or two of orange juice everyday. I think my body is craving naturally good food. It’s been a while since I have had healthy food because I have been going to holiday parties. 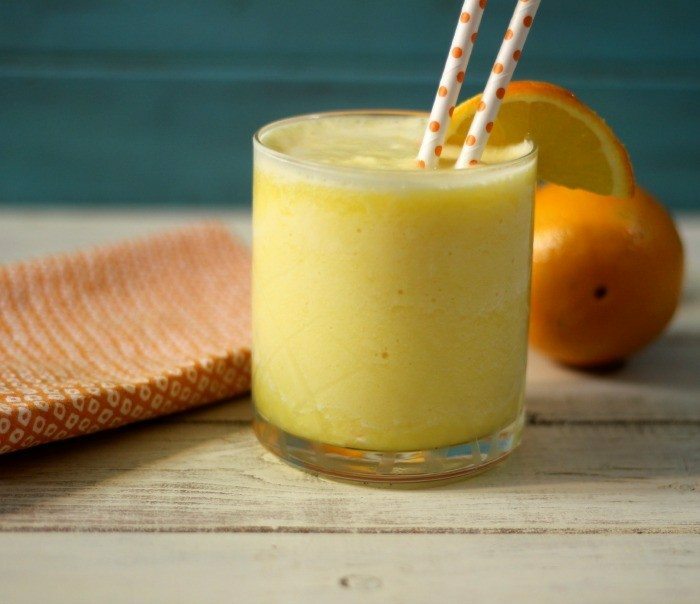 A healthy, all natural smoothie made with orange juice and pineapple. Stay tuned tomorrow for a holiday appetizer. You Guys have been getting hit with lots of rain this year. Stay warm and dry! This might just be my favorite of all your smoothies Jennifer. It sounds wonderful and I think we all might need a little extra does of Vitamin C! Thank you Chris! This is a nice refreshing smoothie.